Written by: admin on September 13, 2013. Executive Director Julie Garreau identified these four words to best describe the Cheyenne River Youth Project, a nonprofit organization that has been serving kids and teens on the Cheyenne River reservation for over 25 years. 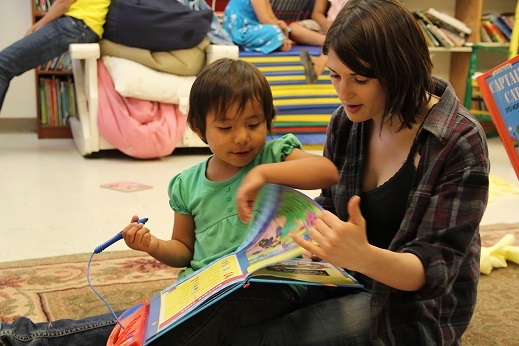 The organization — located in Eagle Butte, South Dakota — is youth & family services oriented with a focus on four interconnected components: a Youth Center (ages 4-12), a Teen Center (ages 13-18), an Organic Garden, and Family Services. One of the organization’s biggest strengths is its sustainability model that began with what Julie calls “the banana bread phenomenon.” The “banana bread phenomenon” happened in the early days of the organization when holding bake sales was the main way the organization made money. Julie explains that it was important not to go down the path of federal funding so that the organization could maintain a sense of self-reliance and staff and volunteers were pleasantly surprised when they found they could support the organization through private donations and foundation support. Despite having one of the highest unemployment rates in the nation (75-80%) and being in a rural, remote area, the organization has been able to rely on the support of those with whom they have built solid, lasting relationships. Learn more about the Cheyenne River Youth Project by visiting http://www.lakotayouth.org. Photo provided by Cheyenne River Youth Project.